I bought this bike as part of a two-bike deal. I really wanted the 1982 CT70 more but this one came along with it. Turns out I've used it quite a bit. 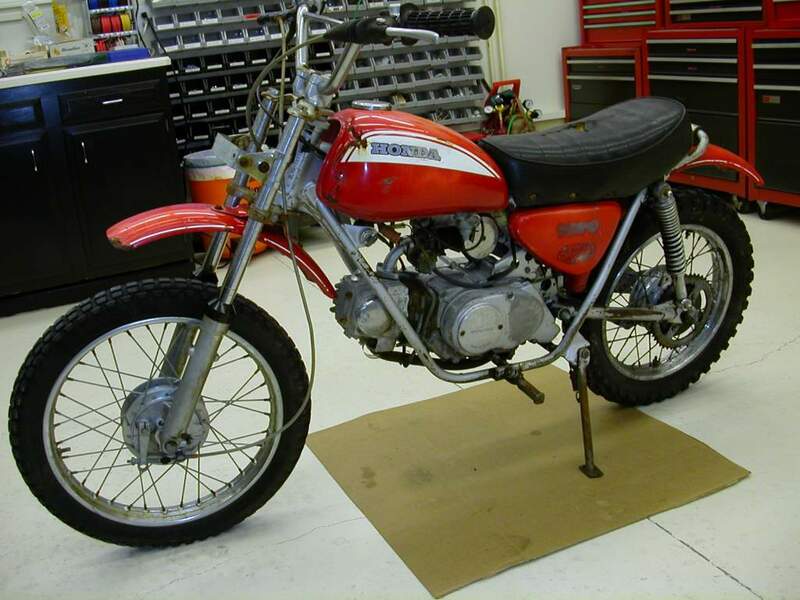 The bike was pretty beat up cosmetically, enough so that it just didn't make sense to try to restore it. It would be so costly to bring it back to perfect condition that I'd probably barely break even on the restoration project. I didn't really want to put a couple months of work into it only to get back a few bucks above what I had into it, so I decided to find a use for it as-is. I went through the bike completely electrically and mechanically to make sure it was safe and operated properly. I wanted to make sure that everything "around" the engine worked perfectly, as I intended to use the bike as a test bed to try out engines from bikes as I buy them. 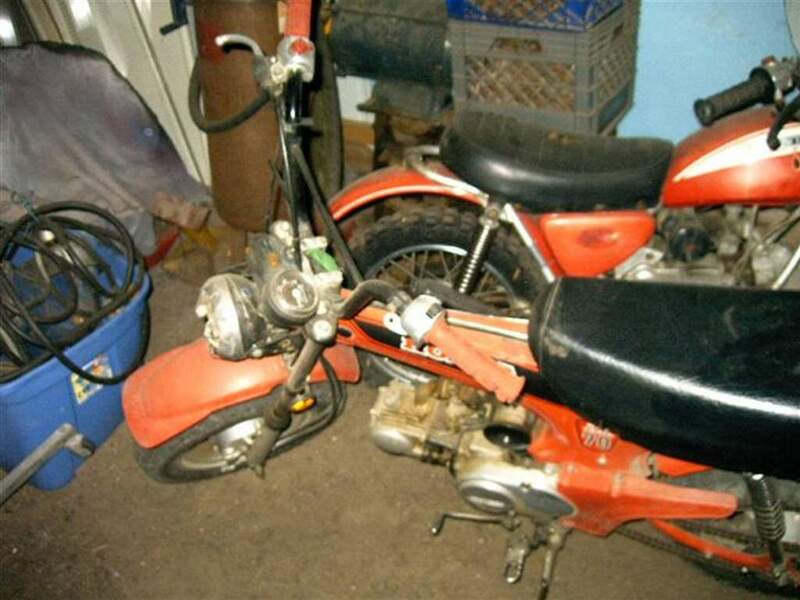 If the Ratbike has known-good electrical and known-good carburetion, I can install any CT70 engine into it and run the engine to see how it performs and what it might need before I go any further. Without the Ratbike as a testbed, I have to restore the entire bike I've purchased or at least fix all the systems in the bike before I can test the engine. Kinda silly to restore the whole bike completely before you even know if the engine runs! The SL70 is also easier and quicker to swap an engine in and out of than a CT70, so it's very well suited to the "test chassis" role. I've had 4 or 5 different engines in it already, either to test them out when I buy a project bike as noted above, or to break in a CT70 engine that doesn't have it's chassis done yet, that kind of thing. I call it the Ratbike for the obvious reason that it doesn't look too pretty. But looks can be deceiving! As I said everything mechanical and electrical about the bike is now in great condition. I wouldn't hesitate to take it somewhere for a weekend and ride it all weekend long (though I'm a little heavy for it. My wife fits it perfectly). These photos show it when I first got it with the original 4-speed manual trans engine that eventually went into the 1972 CT70HK1; I now have a standard 3-speed auto trans CT70 motor in it that was an extra that was just laying around. I have cleaned it up a bit, and have also put new dualsport-style tires on it front and rear (the old ones were just too weathercracked to be safe). Oh yeah...also added a headlamp from a CT70K0 and a taillamp/brakelight to the rear fender for safety. Since this is a test bike I'll be riding it around my sub and I want to make sure people can see me. 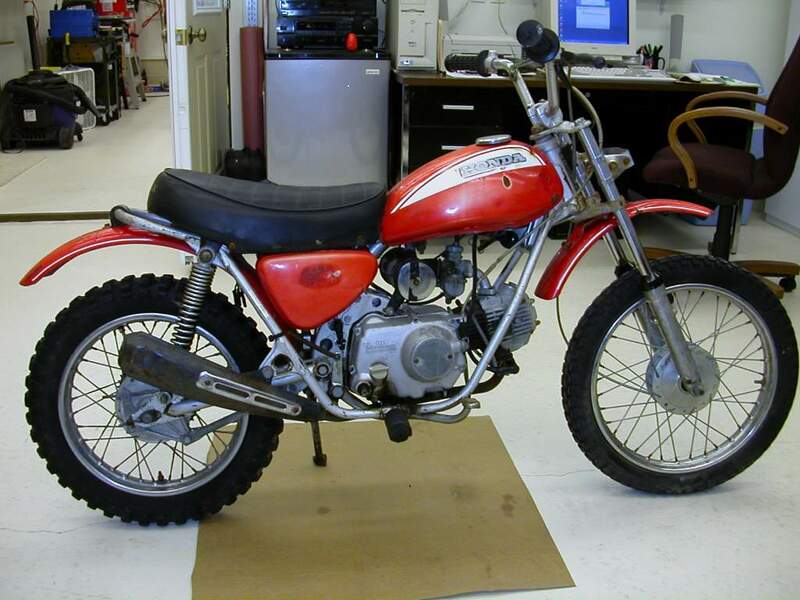 Below is a photo of the Ratbike and it's companion, a 1982 CT70, from the person I bought them from. This is one of a couple photos the person sent me when I inquired about the bikes (was a Craigslist listing with no pictures). I ended up fixing up the 1982 CT70 and giving it to my brother, as he always enjoyed riding my 1982 so much. Now we both have the same bike. Cool!